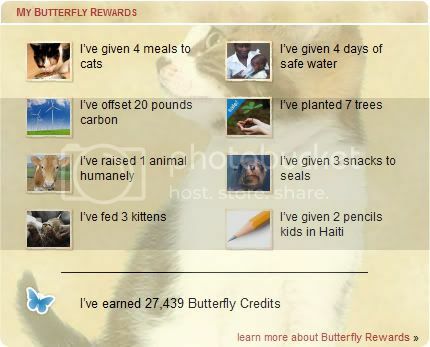 To make a great difference you can sign up to care2.com A website where you can earn credits from signing petitions, commenting blogs, etc and exchange them for gifts for charity :) Also click on pictures for free to generate donations for causes! Causes including things such as Rainforests, Breast Cancer, Oceans, Pets and lots more! The best thing is to make an account and track your impact as it makes you feel good :) - Check out what I've managed to achieve so far!